Now, there’s no wrong way to carry a Reese’s. Ahead of Valentine’s Day, Walmart announced this week that it’s offering bouquets comprised of your favorite candies, an arrangement ideal for any sweet-adoring bride (or bridal party). 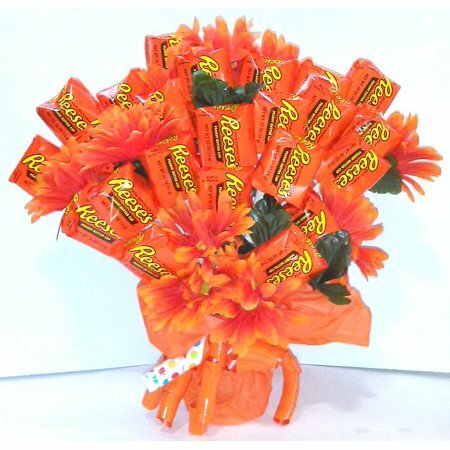 The mouthwatering bouquet options include the Reese’s Extravaganza Bouquet, comprised of 36 individually-wrapped packs of the brand’s beloved Peanut Butter Cups. It also comes with festive, matching orange flowers—fake, of course—to bring some texture to the overall arrangement. The price tag? It’ll set you back only $45 on Walmart. If your candy of choice isn’t Reese’s, the company is offering several other sweet bouquets in the form of M&Ms, Skittles and Ferrero Rocher. The retailer linked through Walmart offers Kit Kat and Twizzler options too. Other creative, food-centered bouquet alternatives include doughnuts, pizza (in the form of bouquets and boutonnieres), and of course, the beloved breadstick bouquet served by Olive Garden. 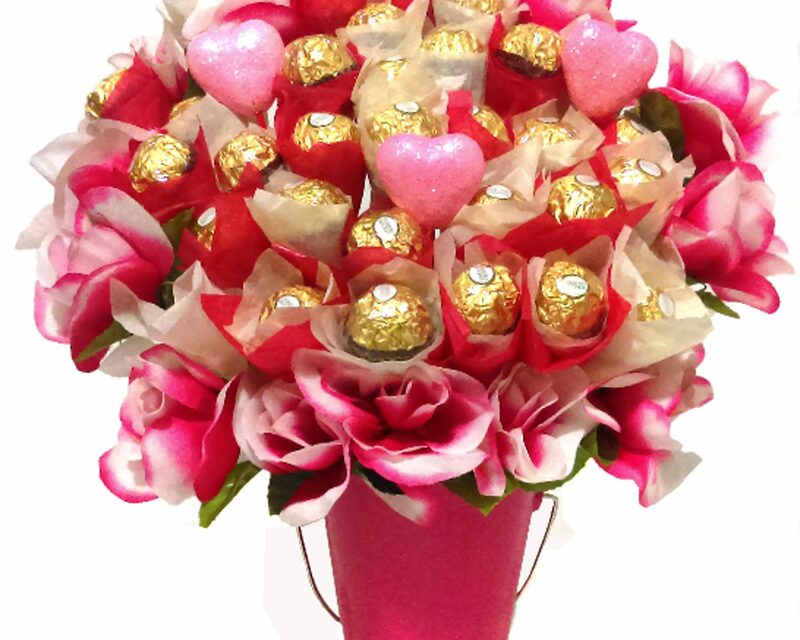 Be the first to comment on "Ferrero Rocher and Reese’s Bouquets Are the Latest Floral Alternative in Weddings"